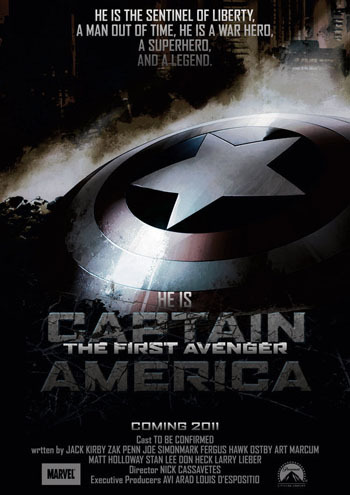 The film, titled Captain America: The First Avenger is directed by Joe Jhonston and plan will be starred by Chris Evans. The schedule will be released in mid-July this in 3D. Captain America: The First Avenger tells the story of a young man named Steve Rogers who failed to enter the American military in the face of the Nazis in World War II due to physical weakness and ill. Desperation is exploited by a general, named Chester Phillips offered Rogers to become part of the experiments are given code name "Rebirth". After undergoing tests for weeks, Roger's body finally injected a "Super Soldier Serum" and highlighted with a strange light which is called "Vita Rays", it made him physically transformed into super-human strength. Then, as his supporters Roger equipped with a program of physical training and tactics, until finally three months later he is reborn as a Captain America. 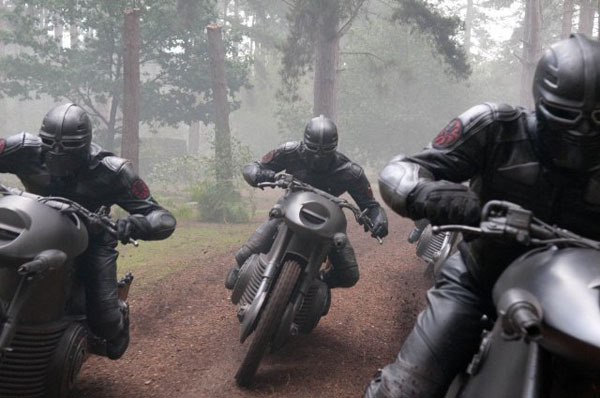 Accompanied by Bucky Barnes, he faces his first enemy called the Red Skull, a head of Hitler's armament section which plans to rule the world by using an object called the Tesseract and also as a leader and member of the first group of The Avenger. Looks like setting the film will be divided into two parts, as disclosed by the producer himself, Kevin Feige who claim that about most of the film will be set back in World War II, until finally jump and set in the modern world. This makes Captain America is special, a superhero of the past who comes back after seeing the world that is not better than ever.